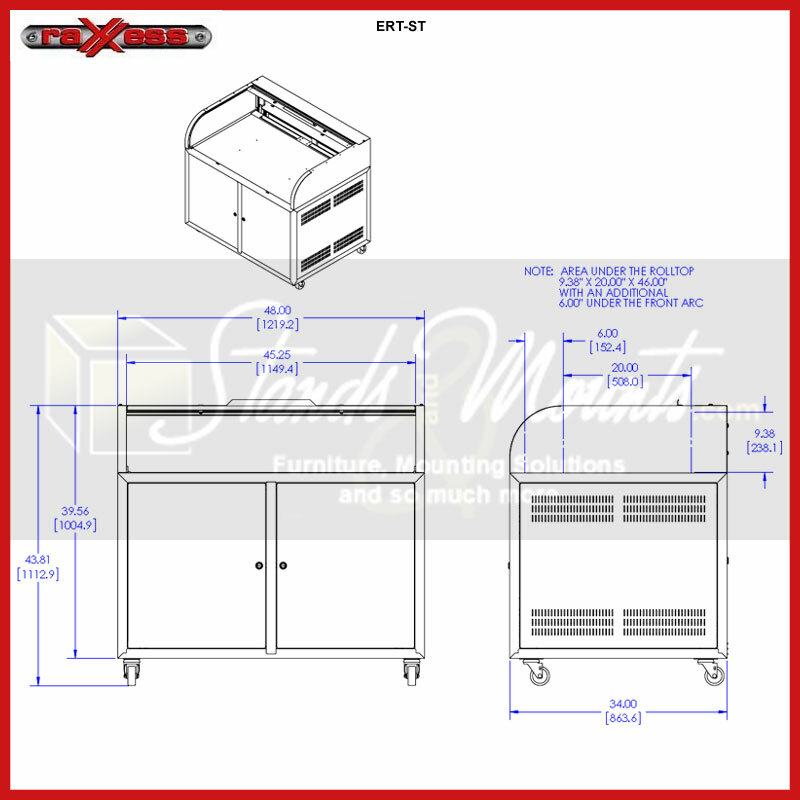 More on the Chief Raxxess Steel Elite Roll Top Desk (Black) ERT-ST below. 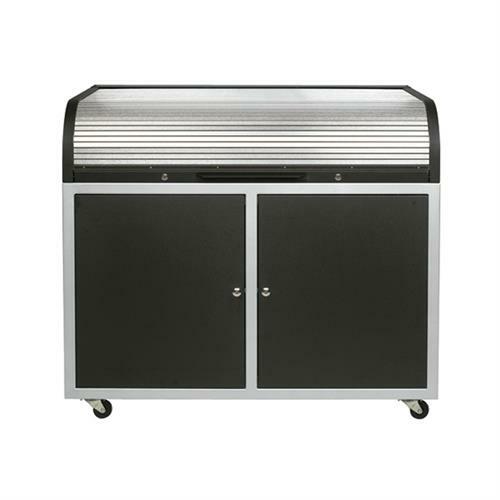 Steel construction available in black with silver wrinkle powder coat finish. 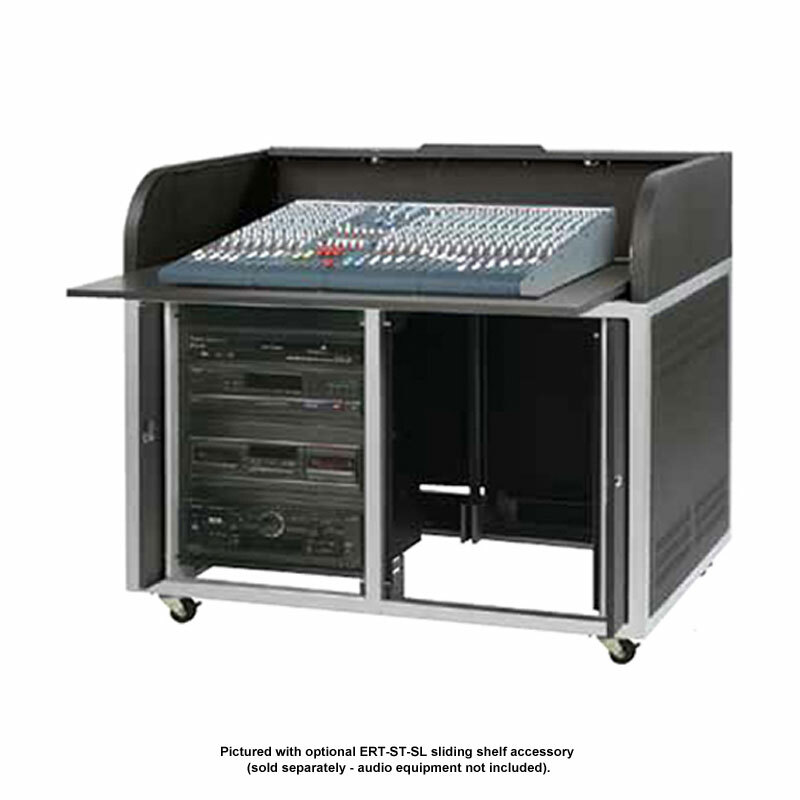 Secure, semi-portable audio/video control center. 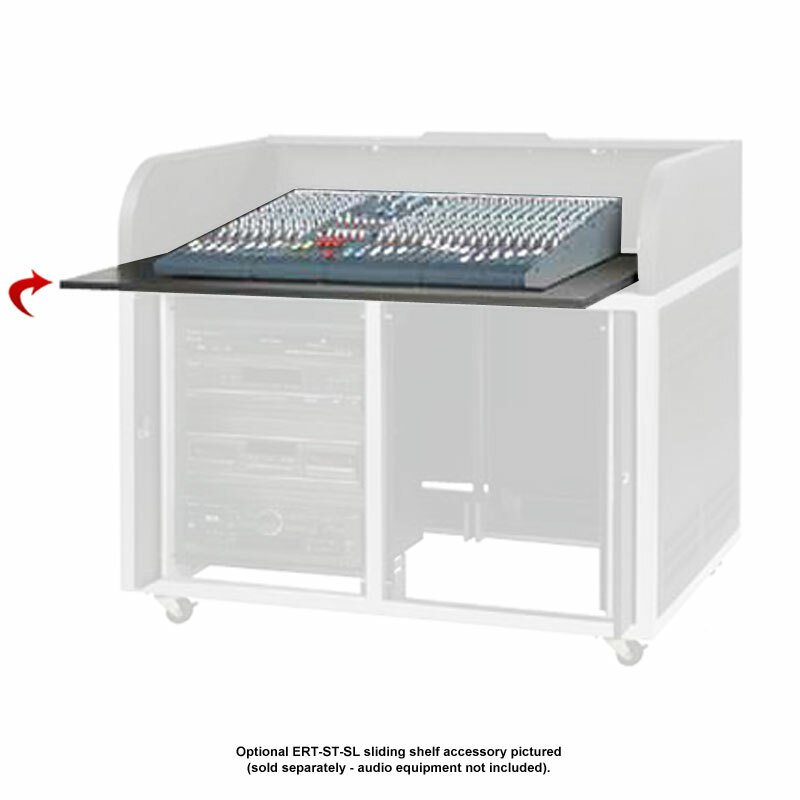 Locking roll-top cover prevents unauthorized users from accessing mixer controls. Locking pocket doors cover the rack bays. Locking rear doors provide additional security and access to wiring. The heavy-duty industrial casters allow for easy indoor transport. Features a curved facade with ultra strong tracking system and ball bearing action. Click on "View More Images" above for detailed specifications!